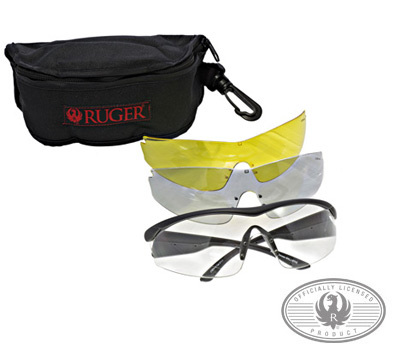 This shooting glass set has a black carry pouch with Ruger logo. 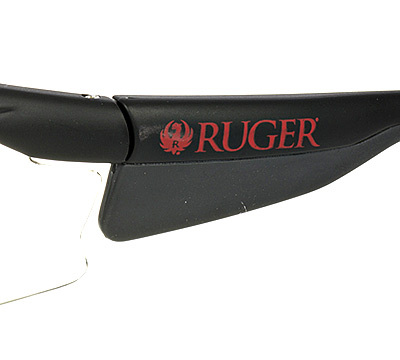 The wrap around frame has dual injection rubber temples and a non-slip soft rubber nose piece. 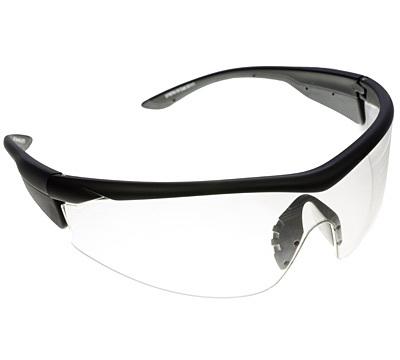 Lenses exceed ANSI Z87.1 + standards, provide maximum UV protection and meet MIL PRF 31013 ballistic impact standards. 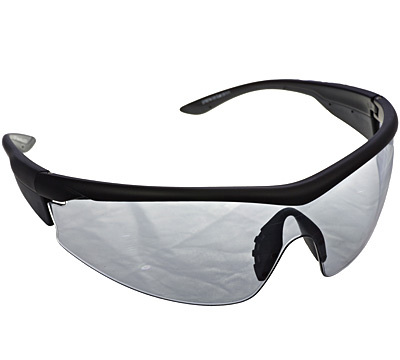 Features include anti-fog and anti-scratch lenses. 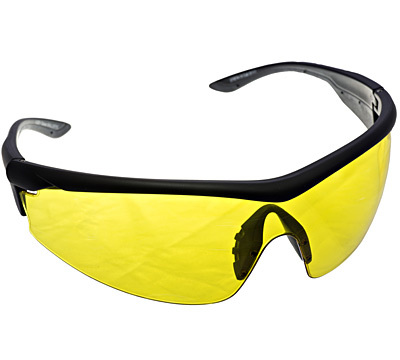 Set includes one each of clear, mirror smoke and yellow lens. 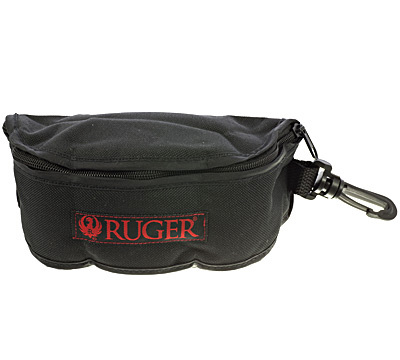 Made by the Allen Company under license from Sturm, Ruger & Co. Inc. WARNING: This product can expose you to chemicals including Di-n-hexyl Phthalates and Lead Acetate which are known to the State of California to cause cancer and birth defects or other reproductive harm. For more information go to www.P65Warnings.ca.gov.